Zika Virus, What You Need to Know. 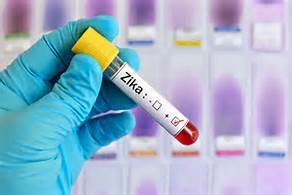 Protect yourself/clients from effects of the Zika virus. The Zika virus originated in Africa and is prevalent in both South and Central America. Reported cases in the United States have occurred due to traveling in affected countries. However according to the CDC these imported cases could result in the local spread of the virus to some areas of the United States. The Zika Virus is spread primarily by the bite of Aedes mosquitoes. These mosquitos feed on a person that has been infected with the Zika virus and pass it on to the next. There is some evidence that the virus may be passed from one person to another through sexual contact or may even be passed to nursing babies through breast milk. 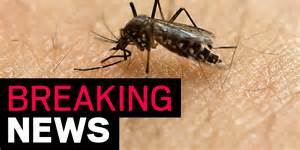 The World Health Organization (WHO) has declared the Zika virus a “global public health emergency”. However the biggest concern is the impact on unborn babies and the potential for microcephaly. Microcephaly is the failure of the brain to grow at a normal rate resulting in below average head size. The result varies from mortality to intellectual disability. Brazil is the epicenter of the virus, and in 2014 fewer than 150 cases of microcephaly were documented. However since October 22, 2015, 404 cases have been confirmed, and an additional 3670 cases are suspected. Reducing mosquito populations is a multiple faceted approach and requires season long applications. First inspect the property and identify mosquito breeding sites. Aedes mosquitoes can breed in as little as one half inch of water. Drain and eliminate standing water where possible. Buckets, birdbaths, gutters, and low spots in lawns that drain poorly can be mosquito breeding areas. If standing water is unable to be eliminated it can be treated with larvaecides such as Altosid Pro G 2.5#. This product affects the life cycle of mosquitoes and stops the mosquito larvae from maturing into biting adults. To reduce adult mosquito population Syngenta Professional Pest Management is offering their Secure Choice mosquito assurance program. This is a double punch approach using Demand CS insecticide and Archer insect growth regulator. Demand CS using Icap technology gives unequalled control of adult mosquitos. Demand CS microcaps have dual wall construction, which protects the active Lambda Cyhalothrin from UV light and PH extremes. Demand CS is the only Lambda Cyhalothrin product to be approved by the World Health Organization for effective mosquito control. Archer insect growth regulator disrupts the mosquito life cycle and gives additional control. Syngenta’s treatment protocol requires the use of a back pack mister such as the Solo 451. These misters hang the insecticides on both sides of leaves where the Aedes mosquitoes sit during resting periods. Foliage should be treated to a height of 10 to 15 feet above the ground. Shady areas should be treated thoroughly. This treatment should be made in either 30 or 60 day intervals to give seasonal long control. Pryor to treatment remove all impermanent objects, such as tools, toys or pet items. Do not treat water sources where fish or animals inhabit, also do not treat fruit or vegetable plants. As with all insecticide applications read and follow the label.